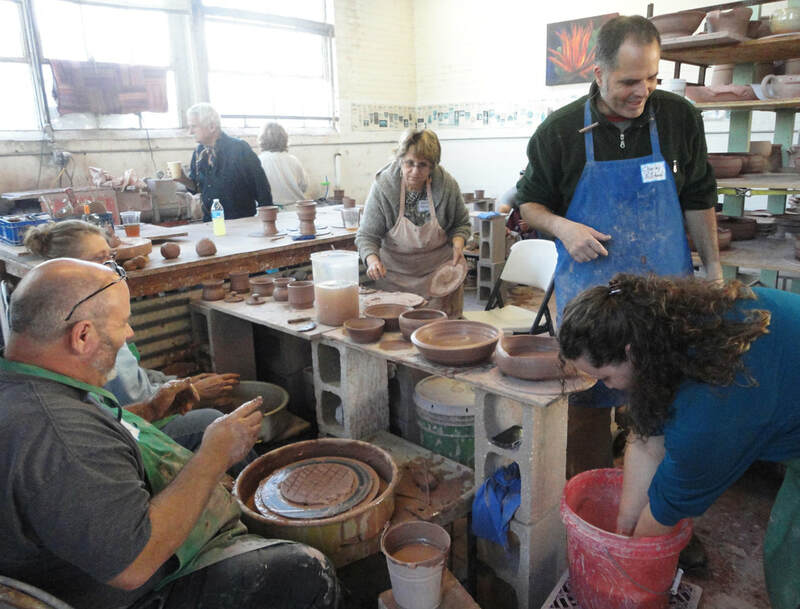 Have you always wanted to try the potter's wheel or handbuild with clay? This one day, intensive workshop for adults (ages 15 and up) is designed just for you! 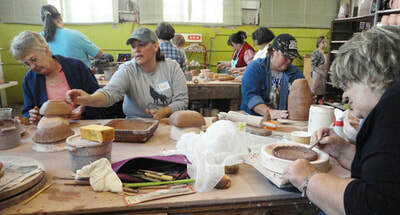 Your choice of either workshop: $95.00 per student. 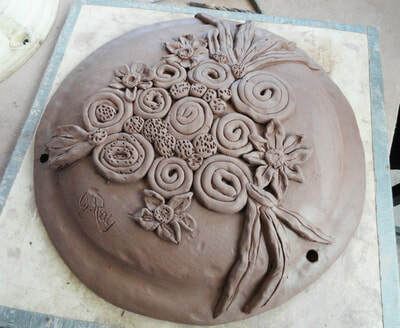 Class price includes all materials and supplies, the kiln firing of your finished artworks and a wonderful lunch. Class sizes are small, so please register early. Call (830) 875-6282 or email icehousepottery@gmail.com. "Handbuilding" is working with clay by hand without the use of the pottery wheel. Before the advent of the potter's wheel, artisans were making beautiful pottery and clay forms using only their hands, clay and basic tools. The world of handbuilding and the artistic possibilities it presents are infinite. In this workshop students will explore various handbuilding techniques used in the creation of ceramic objects for the home and garden. Students will learn how to manipulate clay with slab and coil building, press molding and the embellishment of surfaces with techniques such as embossing, appliqué, carving and stamping. 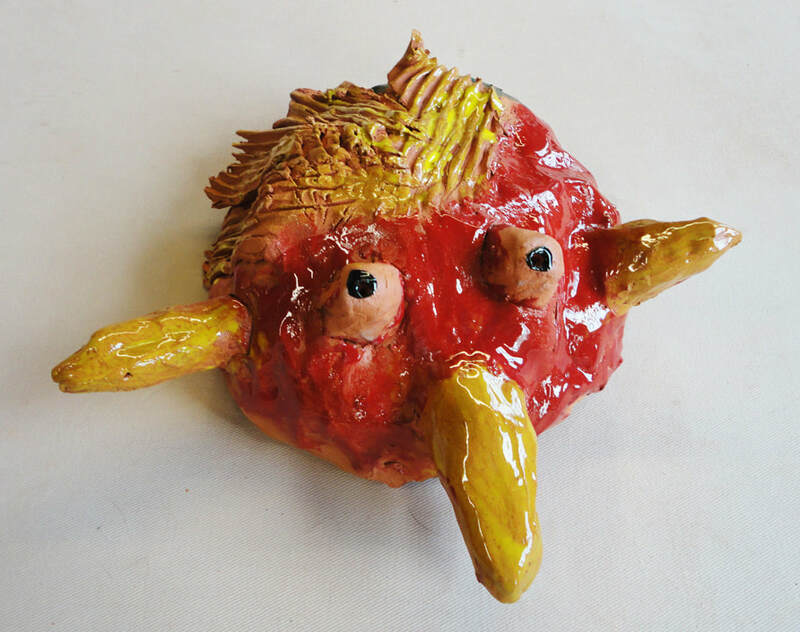 No previous clay experience is necessary. 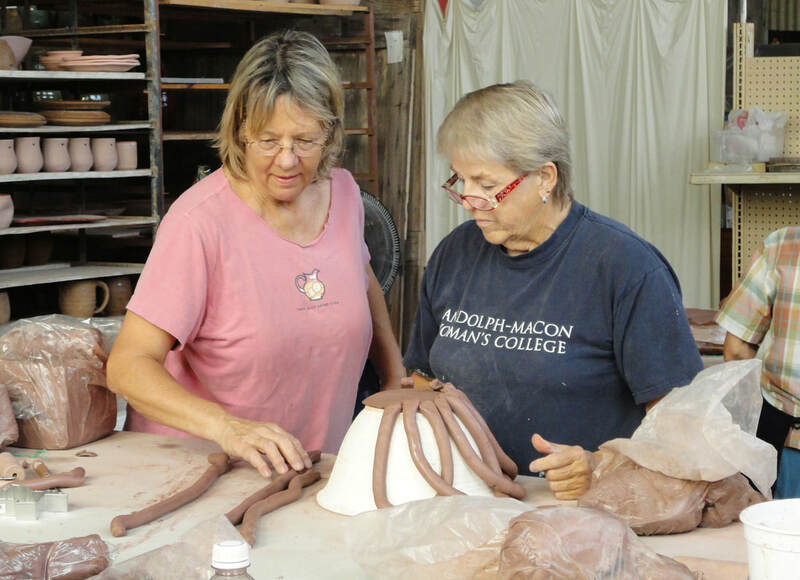 ​Instructor Catherine Sherwood has an MAE from Texas Tech University and a BFA in ceramics and fibers from Texas State University. 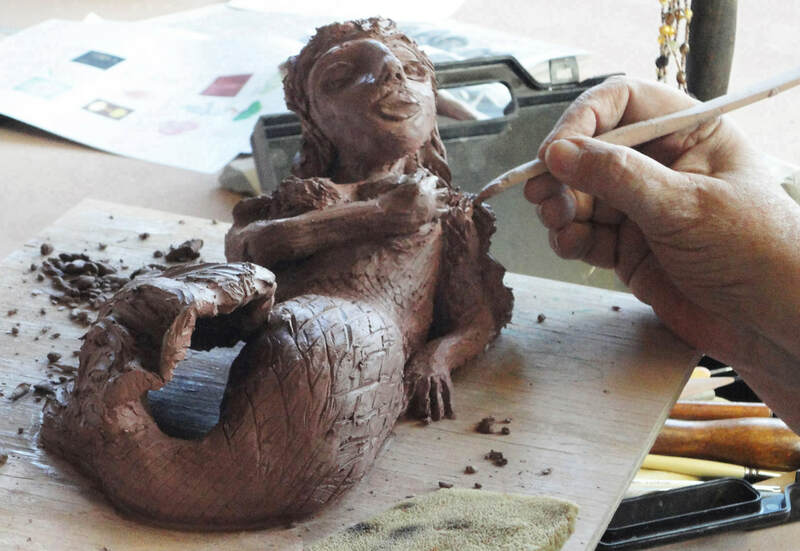 She is a practicing artist with over 35 years of experience in clay. She has over 20 years experience as an art educator in Austin, San Antono, San Marcos and Wimberely. directing each student towards their own personal artistic vision. 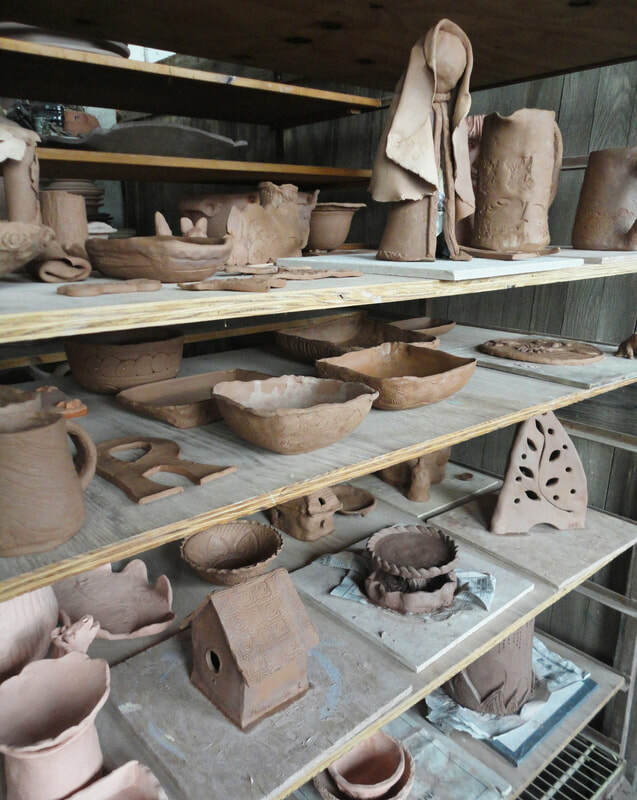 No previous clay experience is necessary.